Books and Sensibility turned 4 this month ! How did this happen ? This has been a marathon year for us. 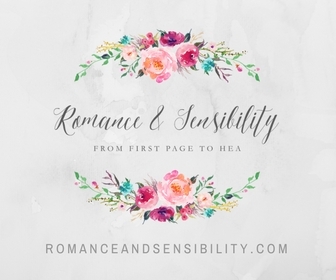 I started a romance site, we took on BEA 2015 and were profiled on local news website. 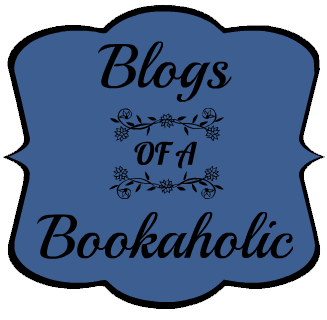 Jess and I started the blog in Fall 2011 when Jess wanted to write tongue and cheek recaps of The Mortal Instruments Series. We never got around to it because once we discovered the awesome YA blogging community we made a natural transition to book blogging. 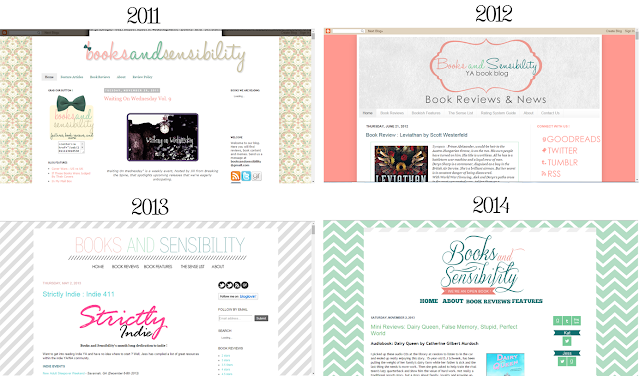 I was looking at the blog on the Wayback Machine and noticed that we've gone through quite a few looks along the way. 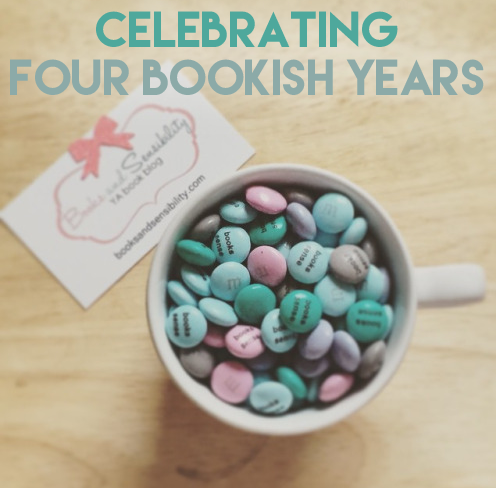 One of my favorite book bloggers is Hafsah from Icey Books, she is so freaking creative ! In honor of our blogaversary we are giving away one item from IceyDesigns, Hafash's Etsy Store ! From the opening lines--which describe a serial killer’s thoughts as he disembowels his recent victim --this book hit my squick button. Hard. I can do gritty, but Game had more body mutilation and necrophilia than I like in my….everything. I was prepared to return this audiobook the library but I was driving so I kept listening. I'm glad I did because once I got past the prologue, I was dipped right back into a story that was like watching my favorite procedural crime shows. From its twisty mystery, acerbic humor and constant supply of WTF-ery. Picking up this book was kind of weird for me because I read the first one three years ago as a galley and gave it a high rating, but I’d completely forgotten about this series until I saw this on my library's Overdrive. Despite forgetting most of the first book I was able to get right back into the story. I would almost say you can read this without reading the first book. This review will be a spoilers free for both books. After the events of I Hunt Killers, all eyes are on Jasper Dent, the son of America's most notorious serial killer. 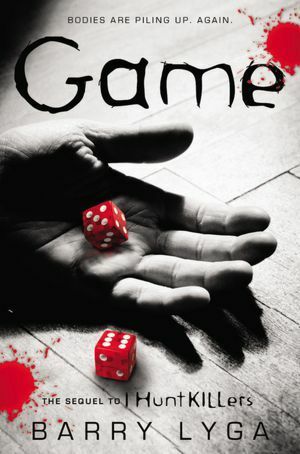 Jasper is called on by the NYPD to help with a case of a puzzling new serial killer on the loose in the city. As Jasper become move involved in the case he starts unraveling things about his father, his past, and discovers the world of serial killers may be more complex than it seems. This book uses one of my favorite tropes in YA where the Adults Are Useless so they need kids to solve the problems. This trope usually shows up in SFF YA, but I think it works well in this contemporary setting. On top of a high stakes plot Lyga creates some interesting characters. This book is written in an omniscient third person so we get perspectives from the killer, Jazz's Dad, and Jazz's best friend, but the largest piece of this story belongs to Jazz's girlfriend Connie. I enjoy a good romance , but I really like how in this book Connie and Jazz are a pre-established couple--those seem rare in YA. There is a lot of talk about diversity and non-POC authors portraying POCs and in my opinion Lyga does a pretty good job with Connie. She has room to deal with her identity, but also about things outside of her black identity. Lyga even touches on the ideas of Black Lives Matter movement (this book predates the movement by a few months) when someone is telling Connie how the media won't care if she is killed. All that said Connie gets a little "Too Stupid To Live"--which is not my favorite phrase to use, but she does some seriously stupid things considering there is a serial killer on the loose. The audiobook is narrated by Charlie Thurston and overall he does a good job. I like his low gravely voice and he does a decent job with with creating different voices and showing emotion. Although his voice for Jazz' friend Howey sounded dopier and less realistic. My only nitpick with this book is its length. It felt like they were cramming too many ideas in and it was going in circles. This is the first time I read a book that felt like it was too long. In Game Lyga has created an interesting and intense story that will have you read for the last book because DAT CLIFFHANGER THO !!! Hearing the acknowledgements Lyga seems to put a lot of research into this, but I'm still side-eyeing him for life. Put away your white pants cause fall is here ! 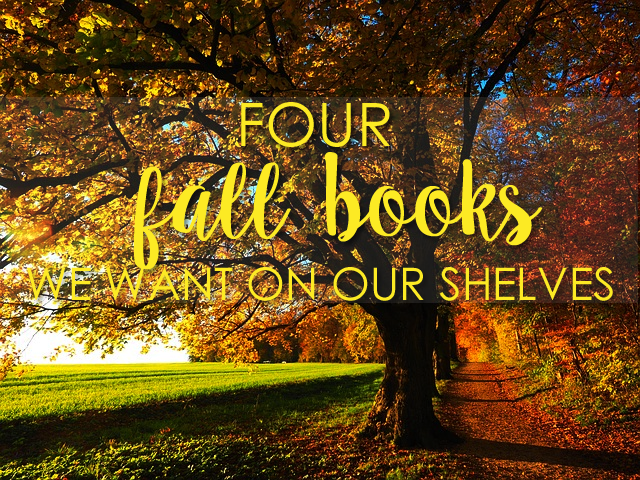 Along with pumpkin spice flavored everything we are looking forward to these YA releases this fall. 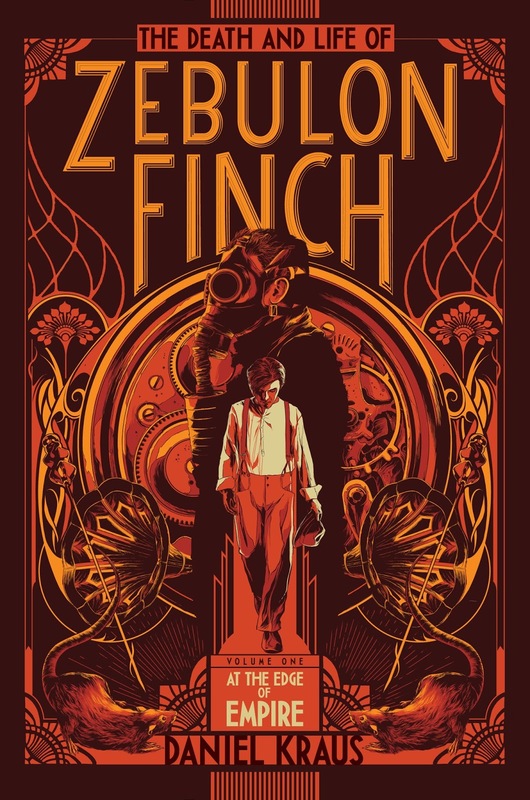 The Death and Life of Zebulon Finch (Oct. 2015) The inexplicable story of an immortal 19th century teenage who lives through major historical events while looking for a bit of redemption. Zebulon writes out his life journey while sitting underneath the World Trade Center on September 11th. I bet this will be a great audiobook. 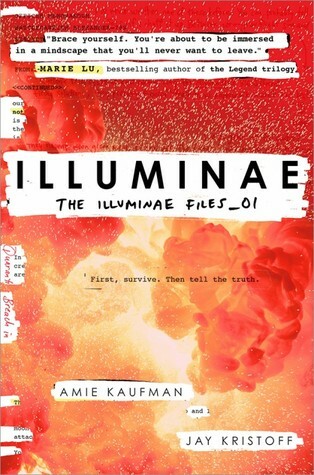 Illuminae (Oct. 2015) This has already been praised by two great plotters and world builders, Marie Lu and Laini Taylor.When war breaks out on their planet two teens escape on a fleet ship with the enemy close at hand. The authors of this book use an experimental narrative as the story is told through a dossier.This is ringing all my Battlestar Galactica bells plus it's rather ambitious to do this as a trilogy. 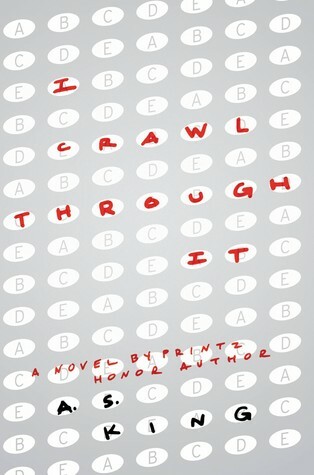 I Crawl Through It by A.S. King (Sept. 2015) - King is an excellent YA writer and is on my auto-by list. This book seems a little more intense than her others as it is about 4 teens dealing with severe trauma by crawling through it. 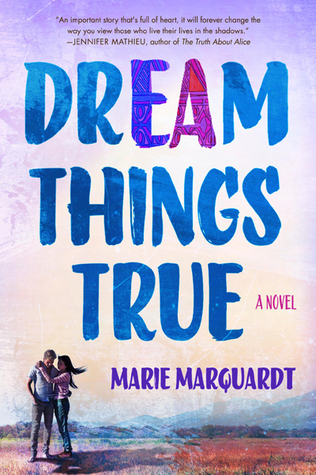 Dream Things True (Sept. 2015) by Marie Maquardt This book features a romance between a girl who has grown up as an undocumented Mexican immigrant and the nephew of a conservative senator. Marquardt is an advocate for immigrants in her day job and I think she will bring great personal insights to the book. The publisher,St. Martin's Press, has done some of my favorite YAs including Fangirl and Charm & Strange so I have positive feelings for this one. Well, it’s time for to me fill my “Reading Outside of My Usual Genre” quota for the year. 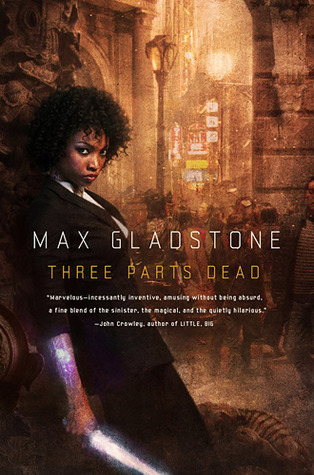 I came across this book on NPR books where Amal El-Mohtar discussed how awesome the diverse covers for this book were and how Max Gladstone became one of his favorite authors. I had a Fantasy space in my Summer Book Bingo, so when I saw this was available on Scribd I started reading. I’ve never read adult genre science fiction/fantasy so I’m not even sure how to review this, but here goes. 24-year-old Tara Abernathy has just been thrown out of the Hidden Schools--the school where those worthy can go to learn the Craft, this world’s magic. And I mean they literally throw her out, she falls thousands of feet to earth. Tara isn't looking forward to going back to a mundane life without Craft, but then she is offered the job of a lifetime by Elayne Kevarian, a Craftswoman who works for the most prestigious Craft firm in the world. Together they are headed to the city of Alt Coulumb to investigate the mysterious death of the city’s deity, Kos. This novel is very plot-y and very world-buildy. I had an especially hard time trying to make sense of how some things worked, like what exactly did a God look like and how did they become a God ? 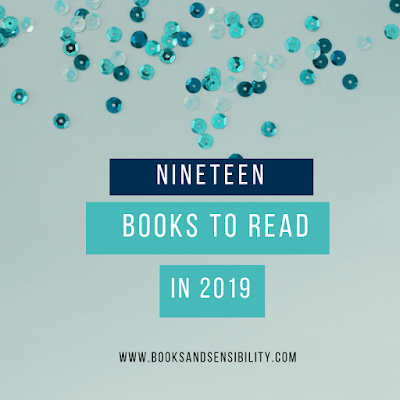 It wasn’t until I got to about page 100 that I started to really settle into the world. There is a lot of restating a recapping so that helped me adjust. There were a lot of cool things in this world like the Blacksuits, the city’s police force. The Blacksuits look like black obsidian statues and work as a hive mind for Justice. There are also gargoyles in this book and the way these two creatures connect is interesting. But they chronologically in this order (hence the numbers in the titles). I have mixed feelings about this. I couldn't stop thinking about this book as the third in series and like a lot was being intentionally left out. But on the other hand I like that this basically means you can skip around within the series. Three Parts Dead really surprised me, it was not at all what I expected my first SFF to be and I’m not just talking about the woman of color protagonist. I thought there would be a Hero’s Journey and everyone going after a McGuffin, but this is far from that. Tara is extremely capable and eager to work on this case, and the structure is less a journey and more of a legal thriller. While I don’t see a Speculative & Sensibility in the future I look forward to getting back into this world to see where Gladstone goes next. Around this time last year I read my first nonfiction, Unbroken and I have to say reading outside of YA/ Romance is really fun, you never know what to expect when you open the page and it's fun learning about how other genres work.